Nur Insyirah Khan took up badminton after her father, former national shuttler Hamid Khan, introduced the sport to her. When Nur Insyirah Khan was in Primary 1, she joined a badminton tournament but lost in the first round of the competition. That defeat did not dampen her interest in the sport. Instead, it sparked the start of the Singapore Sports School student’s journey towards representing Singapore in the ASEAN Schools Games. The 16-year-old’s badminton dream began from home, where her father, Mr Hamid Khan, introduced her to the sport. Since then, there was no looking back. Mr Hamid, a former national shuttler, coached Insyirah throughout primary school. Even though Insyirah trains at Singapore Sports School now, Mr Hamid still offers support, through catching up about badminton and sending messages of encouragement before competitions. “When I attend competitions, my mother would record videos of the matches. My father would watch them and tell me how I can improve my game-play,” explains Insyirah. While Mr Hamid does whatever he can to support his youngest child’s aspirations, he candidly admits that he does not take the soft approach, even though Insyirah has proven her mettle. 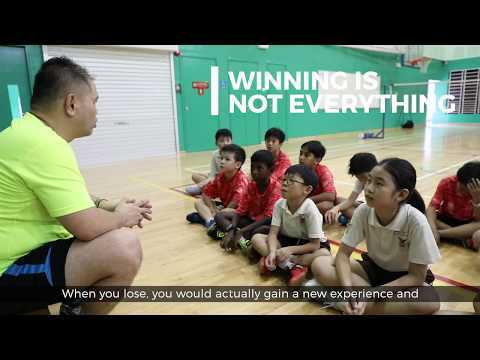 However, Mr Hamid explains that it is not about chasing after stellar results in the badminton court, but about going all out to chase one’s dreams. For Insyirah, having parental support has helped her to go a long way in her sporting journey. Insyirah hopes to go even further and has her sights set on competing in the international arena. “I hope to represent Singapore in the SEA Games, and the next thing I hope to achieve is to qualify for the Olympics,” she shares.